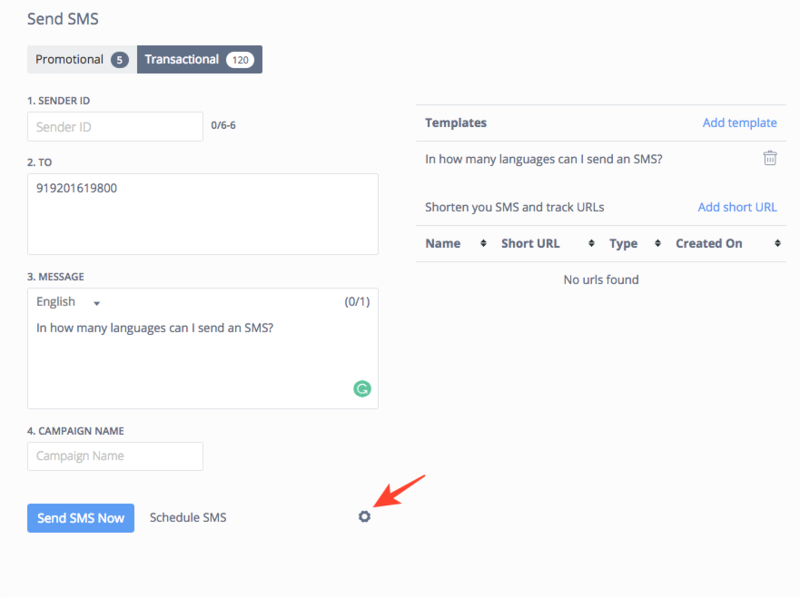 You can add the signature along with your message by using the Add Signature option under the extra settings button beside Schedule SMS option. To add your desired signature enable the option by clicking on the check-box beside the option of add signature. Similarly, if you want to remove the signature from your message just uncheck the check-box. 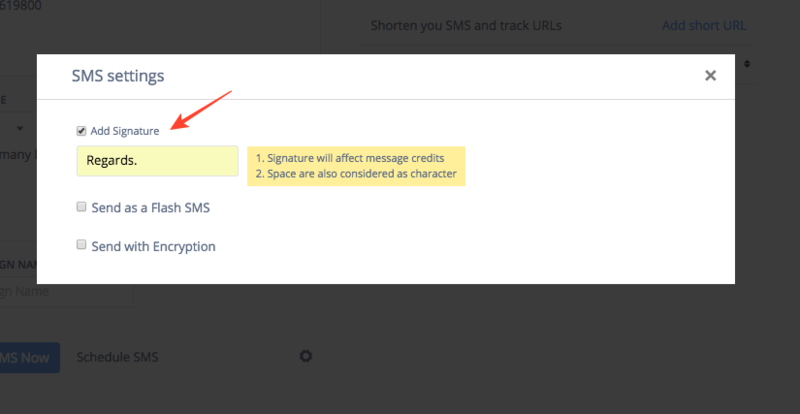 NOTE: Signature will affect your message credits by adding extra characters and space between SMS and signature.